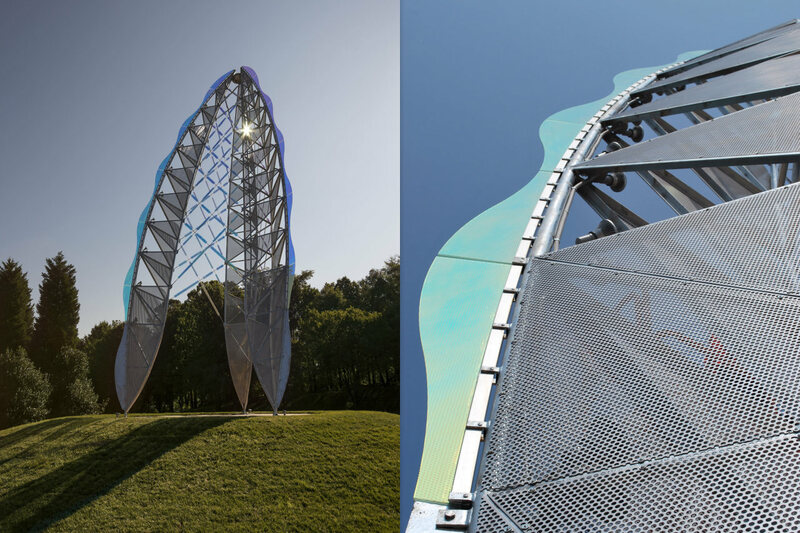 “Ascendus” suggests the excitement of flight and evocations of wings, feathers, and, especially, ascent. 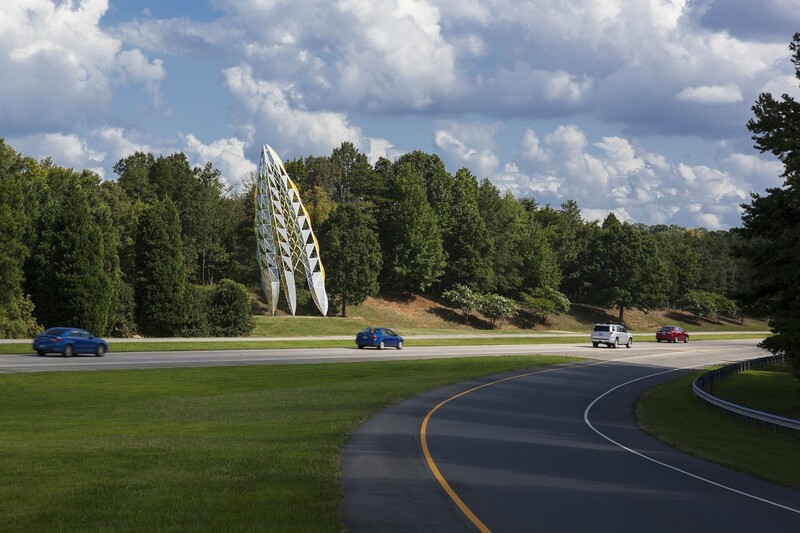 Rising to a height of 60′ against a background of beautiful native trees and shrubs, it is a prominent icon at the turnoff to Charlotte/Douglas International Airport and visible from several adjacent roadways. 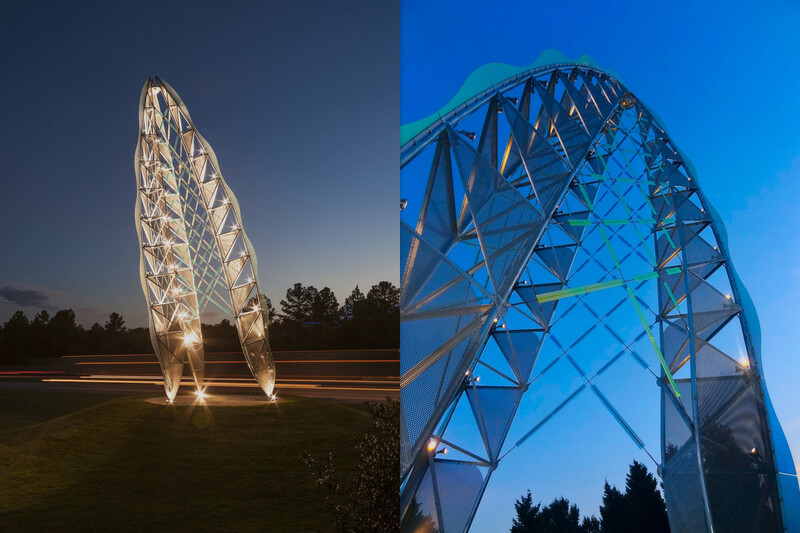 The high tech forms and materials of the sculpture are illuminated at night by fifty-four LED flood lights mounted throughout the structure. 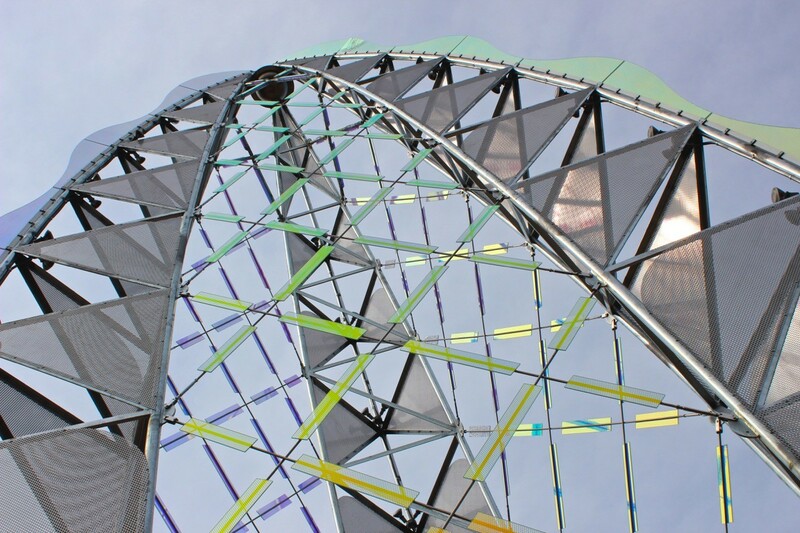 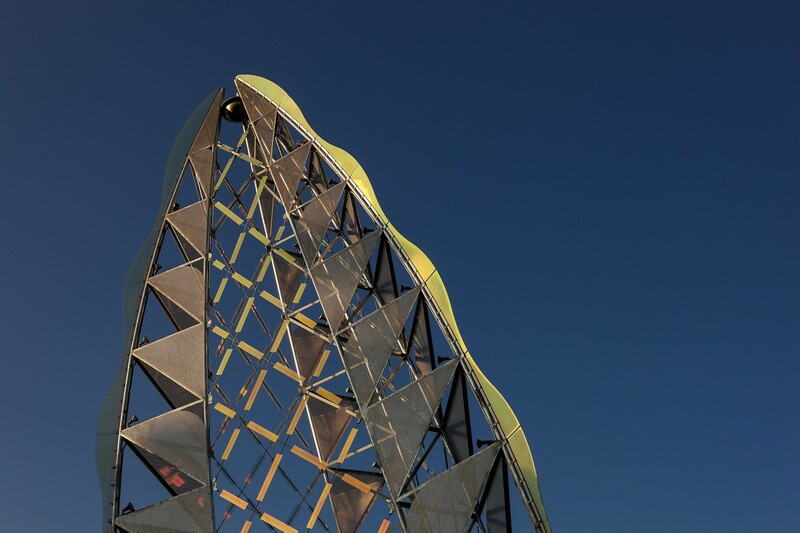 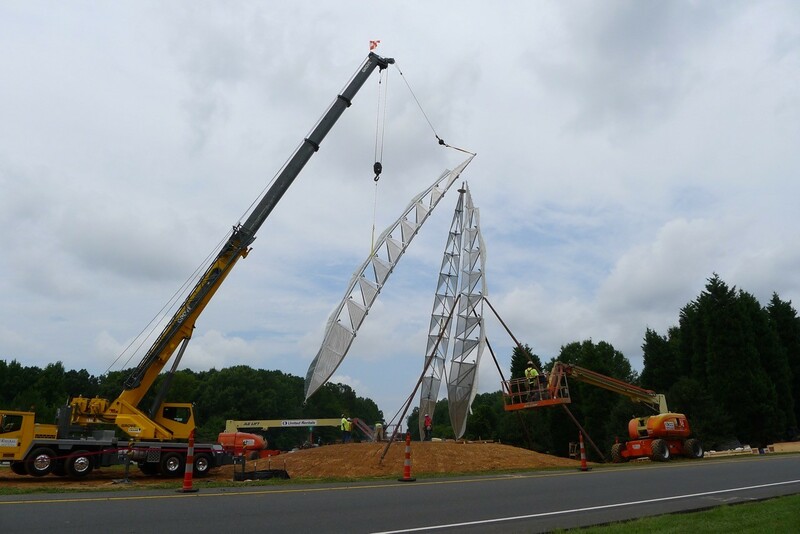 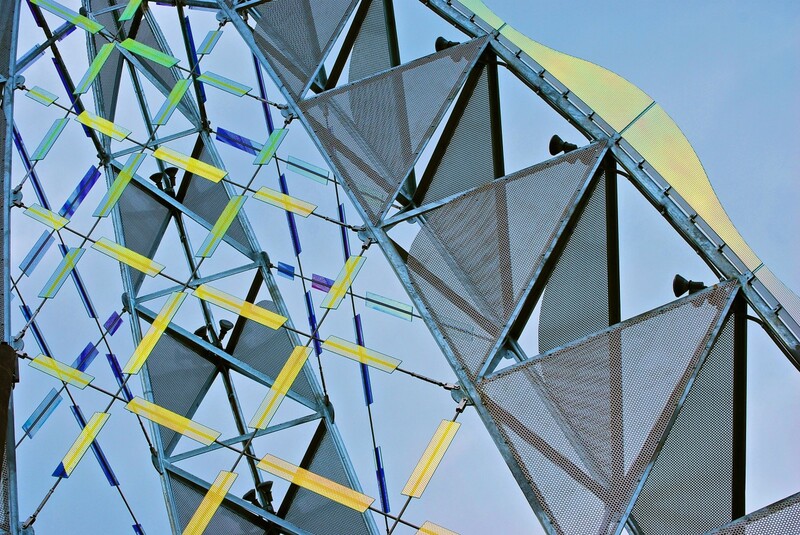 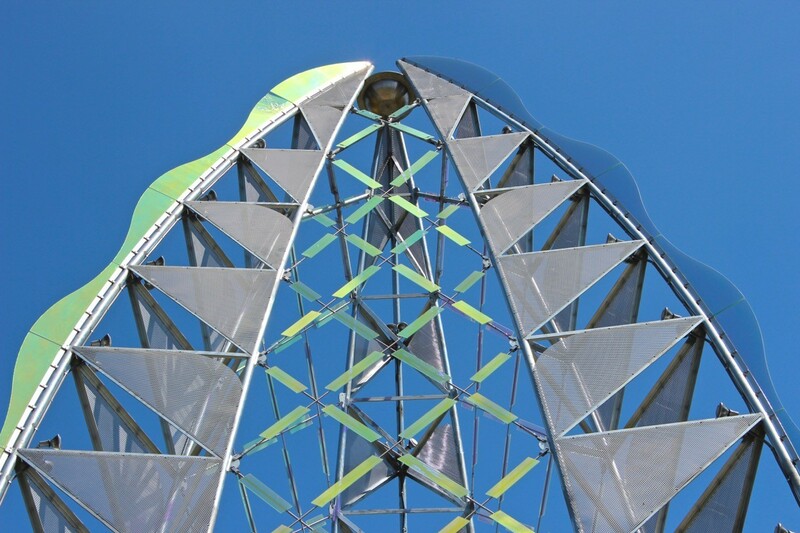 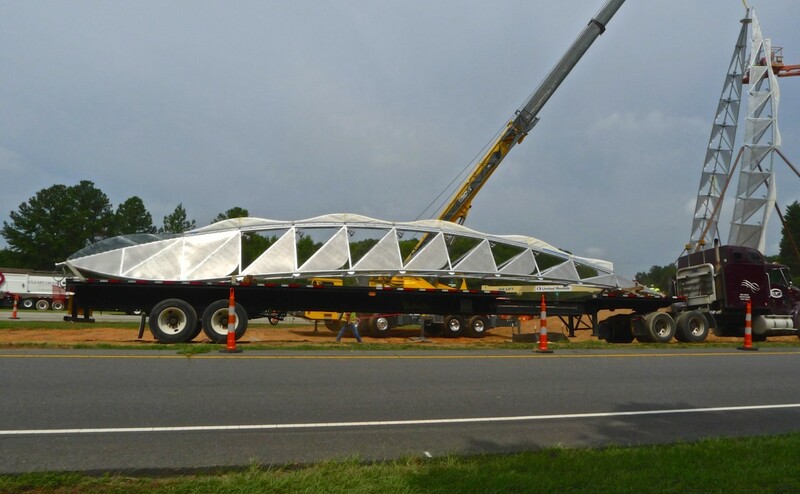 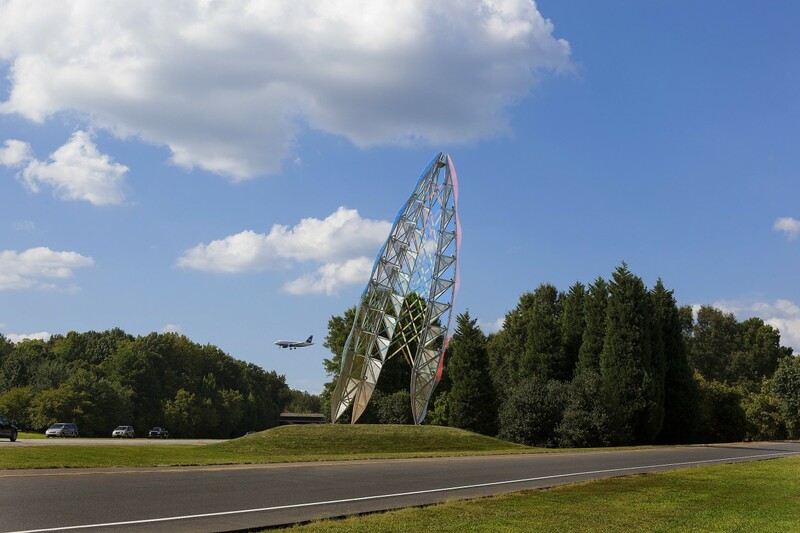 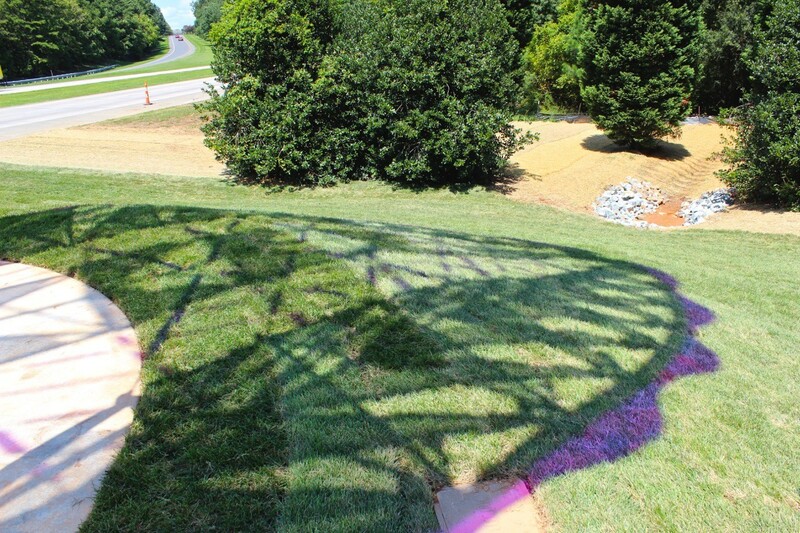 Implementation of “Ascendus” was a collaboration between Ed Carpenter Studio, Charlotte/Douglas International Airport, Arts and Science Council of Charlotte, SteelFab of Charlotte, and the consultants, suppliers, and sub contractors listed in details.